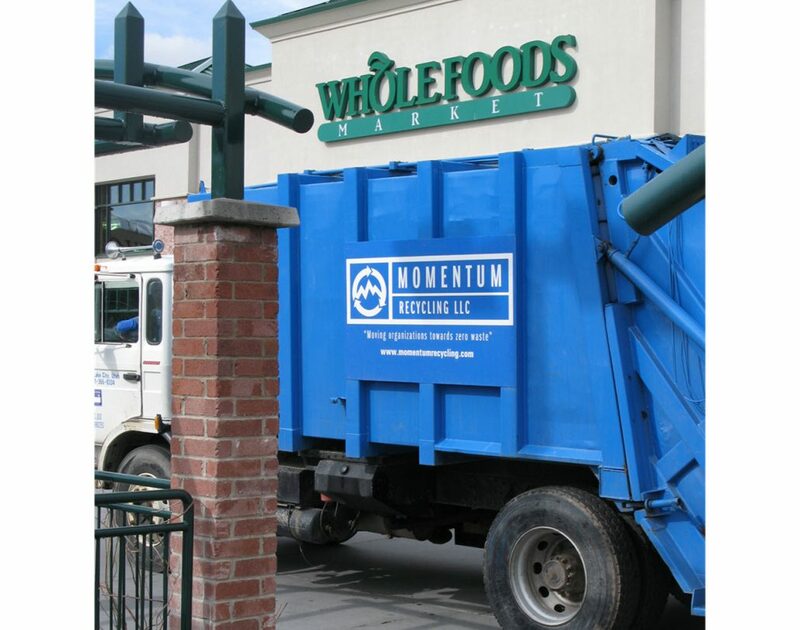 By removing heavy glass from your waste containers, you save money while showing customers + employees that you are preserving the beauty of the Wasatch Front. Removing glass from your waste stream can reduce the weight & frequency of your current trash hauling service to better control waste-related costs. Salt Lake’s landfills are nearing capacity. When full, they will be relocated much further away, greatly increasing waste-hauling fees. 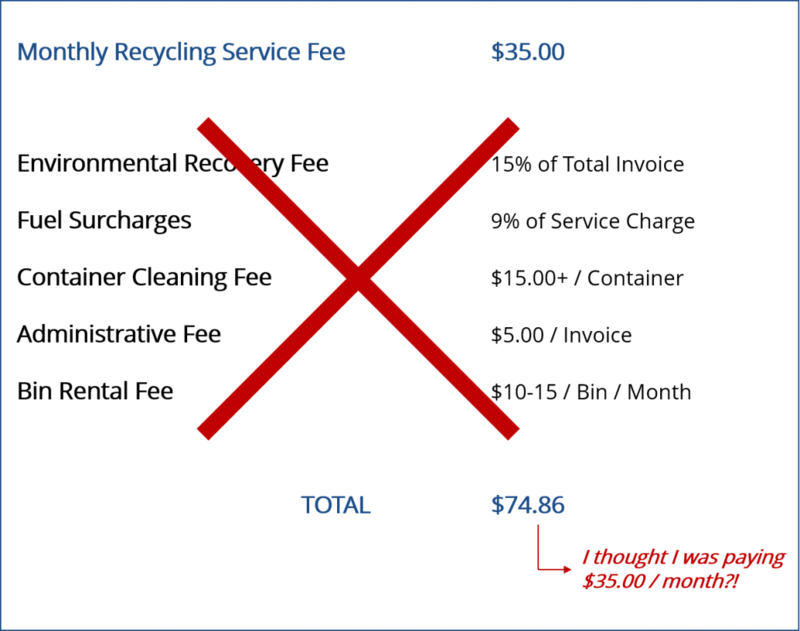 Recycling today delays those higher fees + prolongs landfill life. We’ve all been there: you sign-up and BAM! – here come all of the fees you were not told about. Nobody likes hidden fees – and neither do we. So when you compare quotes, make sure you are comparing apples-to-apples. 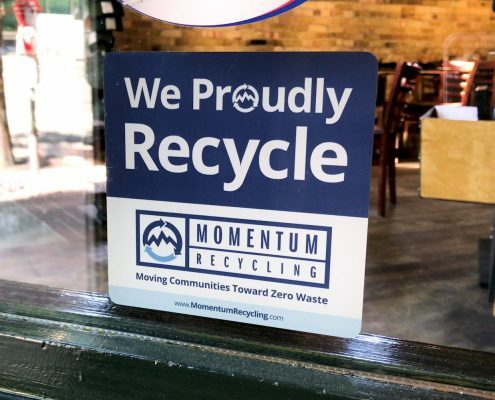 We provide you with free marketing materials as well as promote your organization’s commitment to sustainability via our marketing channels to encourage residents to support you as a local sustainable business. Choose what quantity of bins best suits your needs and fits well within your space. Assess how much space you have for the bins. Next, use the bin dimensions and capacity figures below to estimate how much glass you produce each month. Choose weekly, 2x-per-month, or monthly service (seasonal or special event pickups available upon request). 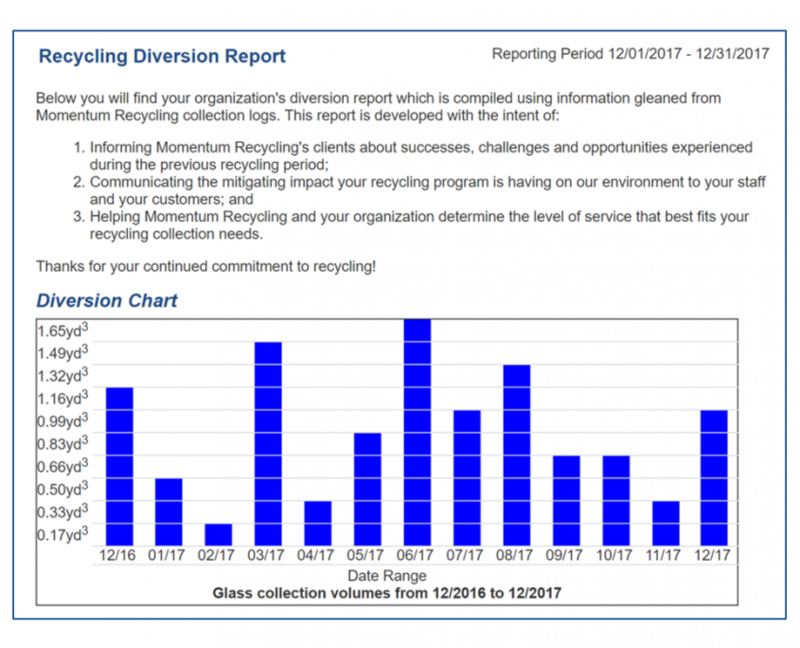 After examining your available space and glass volume from the left, determine how long it will take for glass to fill the bins (1-week, 2-weeks, or 1-month). Services currently available in Salt Lake County and Summit County. For example: two (2) 64-gallon carts collected Bi-Weekly is $44.00/mo, while four (4) carts collected Monthly is just $33.00/mo. For example: two (2) 64-gallon carts collected Bi-Weekly is $51.00/mo, while four (4) carts collected Monthly is just $36.50/mo. Answer: Yes! – We provide window recycling services (framed & unframed) to multiple companies throughout the Salt Lake Valley. 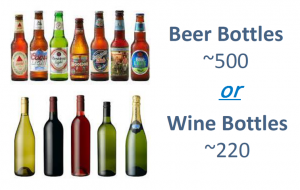 Save money by sending your glass to us for recycling vs. to the landfill. Please contact us for more information as this service requires different types of containers and pickup frequencies. Answer: Although it may be beneficial for your work space to avoid the smells that sometimes accompany food-related waste, it is not necessary to spend time washing your recyclables. By not washing empty recyclable containers, we can all preserve one of the most precious natural resources: water. Answer: Good question! There are multiple benefits to recycling glass: learn more here.